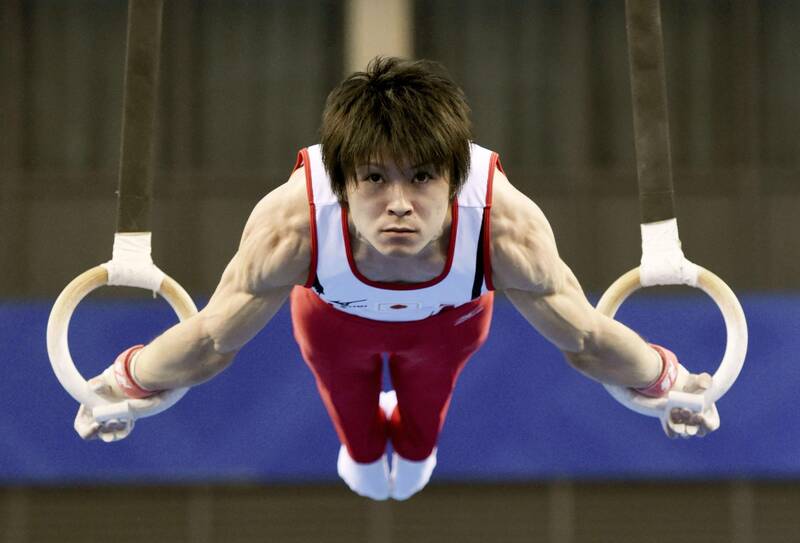 Japanese gymnastics legend Kohei Uchimura and U.S. gymnast Simone Biles looks forward to take home more gold medals at the 2015 World Artistic Gymnastics Championships in Glasgow which will begin today, 23rd of October. Competitors at the World Championships will have the chance to secure an Olympic berth for next year’s 2016 Rio Olympic Games. Uchimura, labeled as “King Kohei” will not only aim to secure another all-around gold medal to record his sixth consecutive World all-around title but will also attempt to get his first team gold with Japan, while American artistic gymnast Simone Biles will try to get her third consecutive women’s all-around title. The only gold medal that is missing in his medal collection is the Japanese team title as the Chinese team has always been ahead of Japan in the past international competitions. These two Asian countries have been battling over the past 8 years with China already winning two Olympic gold medals ahead of Japan and last year’s world title was won by China with only 1/10th of a point ahead of Japan. “All I’m looking is to win a team gold” Uchimura said as the Japanese national team has yet to win a team gold medal in the past 37 years. “Training in France I completed all the disciplines with no mistakes so my condition’s pretty good,” he said. However, his teammate, Ryohei Kato, has yet to recover from an injury in his left ankle. 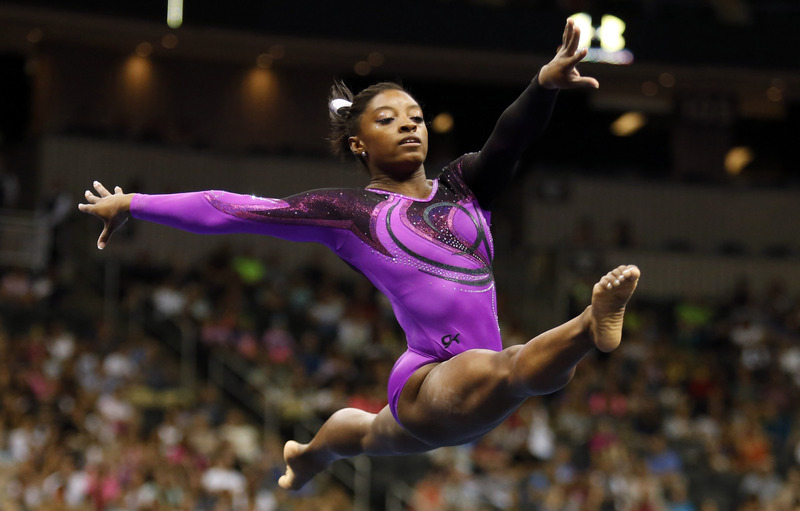 American Simone Biles is looking forward to become the first female gymnast to secure three-consecutive World all-around titles and help the U.S. women’s team defend their team title. “Everyone tells me about it but I never think of it that way,” Biles commented about the record. “It brings out the best in all of us,” said Biles of the challenge. “It’s less than a year out (from the Olympics). As a team we look really strong and hopefully better than ever. We’re all in a good spot right now.” Raisman added. Last year, the Chinese team took the silver medal on the team event but this year, they will compete without the uneven bar champion Yao Jinnan, with Russia also competing without the presence of Aliya Mustafina, a former world all-around gold medalist. However, Russian gymnast Viktoria Komova, an Olympic all-around silver medallist, will rejoin the Russian team after her absence in the 2014 World Championships due to health-related problems. “We have installed new names both in both the men’s and women’s squads,” said Russian gymnastics federation chief Vasily Titov. Romanian athlete Larisa Iordache, a world all-around silver medallist who is less than half a point behind Biles, could also become a challenge for the U.S. gymnast, although the Romanian gymnast has been dealing with ankle injury ever since. The top 8 teams will automatically qualify for next year’s Summer Olympics in Rio de Janeiro while the teams ranked 9th to 16th will compete at the Olympic Test Event on April next year. Bianka Panova Sport and Art Academy provides the most attractive training ground for students who wants to learn gymnastics for kids, as the company focuses on producing athletes of the highest caliber. Enroll your child now and grab this opportunity of training with the best coaches. Visit our website for more information. Like our official Facebook Page to get more informative posts related to the sport of gymnastics and ballet. Stay connected with us to keep updated with the most recent happenings in the world of gymnastics!